Last year, the Toyota Camry was completely redesigned as it entered its eighth generation for the 2018 model year. Now in its sophomore year, the Camry continues to build on everything that made its redesign so exciting and delivers an incredible option in the midsize sedan segment. 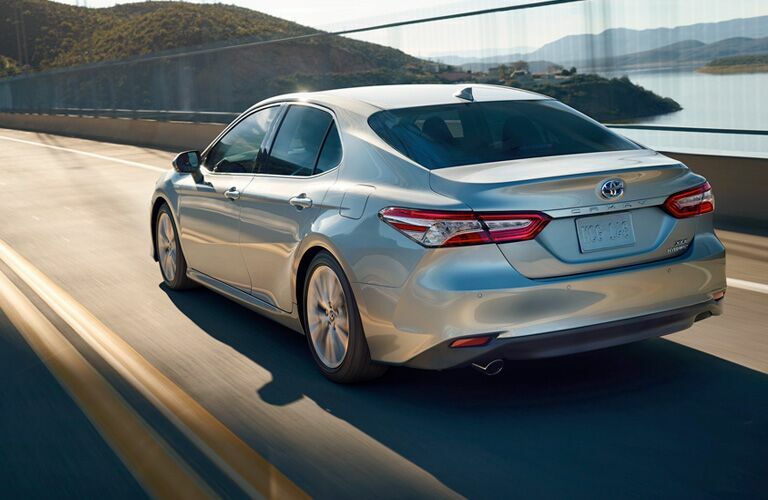 With an evocative exterior design, a host of features both technological and otherwise, alongside impressive performance, the 2019 Toyota Camry in Manhattan Beach CA is a great choice for any small-car driver. The Camry is one of the oldest vehicles on the Toyota lineup, surpassed only by the Corolla and Land Cruiser. With decades of heritage behind it, it continues to remain one of the most popular models on the North American market by constantly reinventing itself, building on what works and improving on what doesn’t. 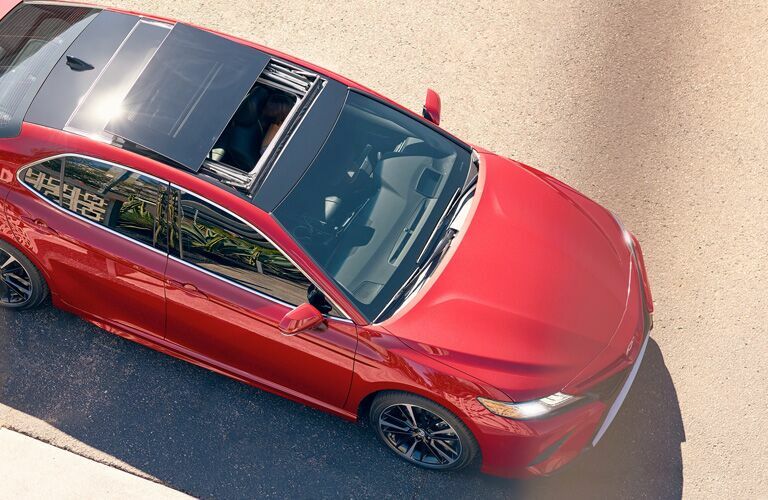 The newest Camry represents the pinnacle of that legacy and we’re pleased to be able to offer it right here in Manhattan Beach. 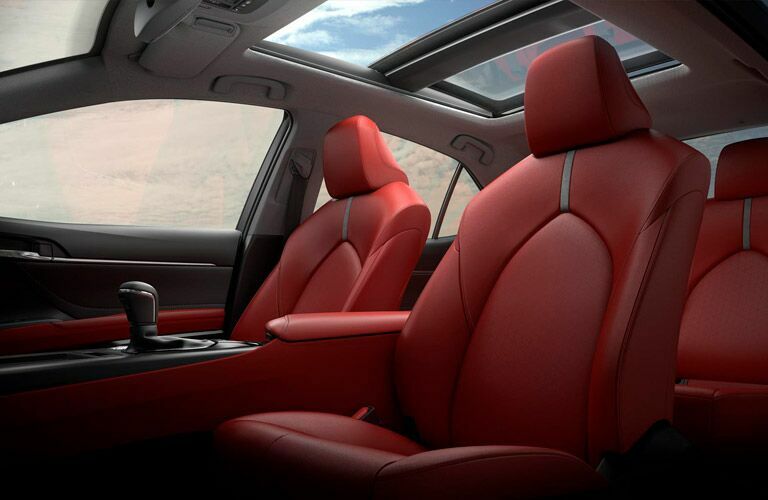 You can find all kinds of information about the 2019 Toyota Camry and everything it has to offer right on the Manhattan Beach Toyota blog, but we figured we’d highlight a few of the most impressive specs & features the Camry has to offer right here. If you’re looking for information on something not covered here, be sure to check out the blog or give us a call at the sales desk and we’d be happy to help you find the appropriate information. So, we mentioned that the Camry delivers impressive performance, so let’s start there. Powered by either a 2.5L 4-cylinder engine or a 3.5L V6, you have the option to opt for superior power or greater efficiency. The smaller engine is nothing to sneeze at in terms of power either, though, generating 203 horsepower as opposed to the larger engines 301 HP. 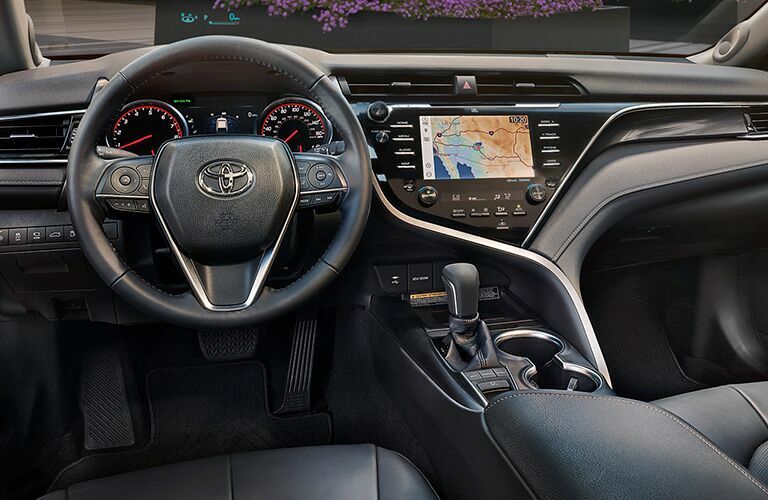 As for features, the Camry is packed with everything from infotainment features like Apple CarPlay to safety technologies like the Toyota Safety Sense P package and so much more. If you’re interested in a 2019 Toyota Camry of your own, be sure to check out our inventory and schedule a test drive either here on the site or by calling us at the sales desk.